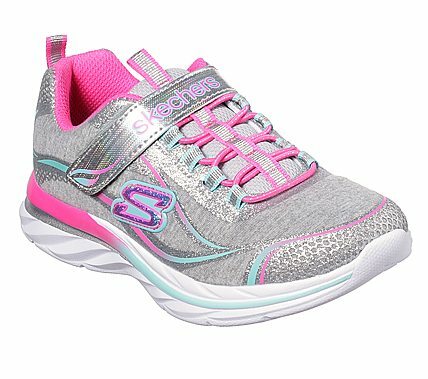 Striking style and fabulous comfort come in the SKECHERS Quick Kicks shoe. Soft nearly one piece woven heathered jersey and metallic finish fabric upper in a stretch laced slip on sporty casual training sneaker with stitching and overlay accents. Air Cooled Memory Foam insole.